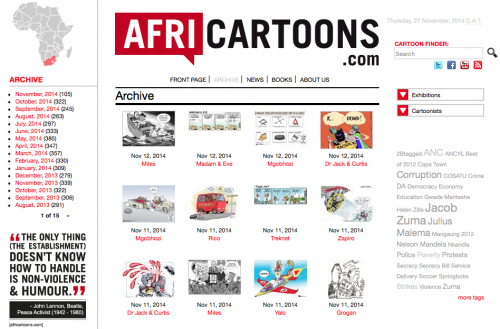 Africartoons.com | Cartoons for Africa! CUAN MILES WINS 2014 SIKUVILE JOURNALISM AWARD, MGOBHOZI AND JERM ALSO RECOGNISED. 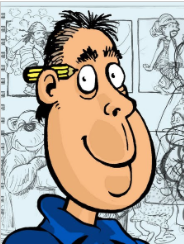 East London cartoonist Cuan MILES of the Daily Dispatch has won the coveted Standard Bank Sikuvile Journalism Award for the Editorial Cartoons category, edging out two award winning cartoonists; Wilson MGOBHOZI (The Star) and JERM (eNCA.com). Delivering the news in cartoons, strong commentary and a smile!